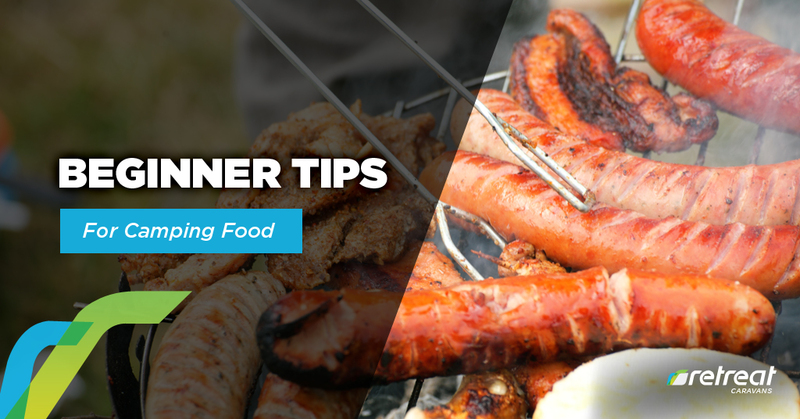 Camping is a fun and adventurous experience but one of the most important things you need to carefully think about is food. If you don’t travel with enough food and the right type of food, you’ll surely go hungry, which is zero fun. This is especially important if you’re camping with kids and teenagers who have voracious, and sometimes very fussy, appetites. So, we will now look at some key tips and guidelines that will ensure you’re well prepared for your camping trip. This includes the right type of food, meal ideas, etc. One problem many campers encounter is a lack of planning. If you don’t properly plan each of your meals, then you will have to resort to eating random meals, which isn’t always the best experience. So, you should think about how many days you plan on camping, which will let you know how many meals you will need to prepare. For example, if you’re camping for 5 days, then you’ll need to have 3 meals per day, per person. So, if there are 4 people on the camping trip, including yourself, then you’ll need to pack enough food for 5 (4×3) = 60 meals. You should also include snacks because no camping trip is complete without marshmallows to roast and other treats. Also, if you’re taking along a pet, you’ll need to plan their meals as well. One of the easiest meals to plan for is breakfast. You can have no-cook options for breakfast such as cereal and milk, oatmeal in jars, pre-made breakfast muffins, bread and peanut butter, tortillas with sausages, etc. If you want to do some quick cooking, then you can consider making pancakes, an omelette in a bag, fried eggs and bacon with toast, etc. Don’t forget to pack coffee or tea, since this is a necessity for most people. Next, for lunch and dinner, you will most likely need to do some cooking. However, this doesn’t mean you have to cook all of your food. It is perfectly fine to take pre-made food from home and store them in your caravan’s fridge or freezer. For example, you can prepare beef lasagna, macaroni pie, or baked chicken at home, cut and package them out, and store in the caravan. This will ensure there is always something to eat, without having to cook. This will make your camping experience a lot less stressful since you probably want to spend most of your time enjoying the great outdoors instead of having to cook 2 – 3 times per day. One quick tip when you’re packing your freezer is to be sure to pack it in the order of how you plan to eat. Basically, the items at the bottom of the freezer should be for your last day of camping, whereas the items at the very top of the freezer should be for your first day. This will make accessing your food so much easier since you won’t have to constantly unpack and re-pack the freezer. One common problem most people have when buying food to take camping is running out of space. As a result, you need to be very efficient and downsize where possible. This means, instead of packing entire boxes or containers of food, use zip-lock bags to take how much you actually need. You should also use a permanent marker to ensure each bag is labelled. Frozen meals should also be packed in bags since bowls and containers will take up too much space. If you’re not ready to go full out and cook on your camping trip, then there are many easy meals you can prepare that don’t require much work. For example, you can make various types of sandwiches, eat canned soups, make wraps with sausages and other pre-cooked meats etc. In closing, we have just looked at a quick guide to camping food for beginners. Once you take the time to properly plan each meal for your camping trip, it will ensure you’re well fed and are able to completely enjoy your outdoor adventure.